Most online stores can use a simple calculation to quote customers a shipping cost in real time. But there are times when a simple shipping cost algorithm is not enough. When an E-Commerce store has a large number or products that require special handling and care, the simple shipping algorithms provided in generic shopping cart software start to show their weaknesses, which can hurt the bottom line of the E-Commerce operation. Park East kosher is a premium kosher food provider. They specialize in Prime quality meats, and gourmet kosher grocery products. Park East’s shipping calculation was so hard to compute that they were having people take orders online, and then calling them with shipping costs. This method was not only making the process slow for customers, but customers were giving up on their order because they did not know a definitive price for the shipping costs. They came to EcomSolutions looking to fix this problem. Why was it so hard to compute shipping costs? First lets talk about how most online stores calculate shipping costs. Some take the product and assign a fate rate to it, and then call it a day, they say product A costs $5 to ship and product B costs $10 ship, so if a customer orders product A and B the shipping is $5+$10 = $15, and that’s the end of the story. So why not set up a system like this for Park East Kosher? Simple. Park East Kosher has hundreds of products, some are perishable, some are not, and this means that products have different shipping costs based on whether it is perishable. The Perishable products have different handling times, and more complex packing costs. We gathered data on all the variables of past orders that we could think of. We gathered order weight data, order price date, number of items in the order, whether or not the order was perishable (0 or 1), ect. We took this data and loaded it into statistical software, and ran a linear regression. Using the results of this regression we were able to generate a formula that could accurately predict the shipping costs of an order within $5. 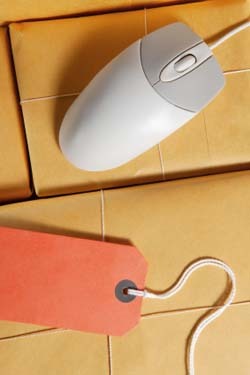 When considering how to calculate your shipping costs, don’t assume that the simplest method is best. There are natural cost fluctuations in shipping costs that a simple flat rate system can’t hope to encompass, and when you factor in different packing methods needed among items, these costs start to vary even more. When you start to quote customers the wrong prices for shipping you can lose money, or worse yet lose customers. This is a topic of E-Commerce development that is rarely talked about, or is just lumped in with the discussion of shopping cart abandonment. People automatically think of things like long load times, and poor layout as things that make people give up on completing an E-Commerce transaction, but never about the fact that they could be driving customers away with poor shipping cost estimates. Take the example above where A cost $5 and B costs $10. Lets say item A is a Box of 20 pencils. If you ordered one of each of these products, then the shipping estimate of $15 might seem right, but say you order 50 units of product A, then the shipping estimate would $5 X 50 = $200. This estimate would make customers leave the site and go else ware, because $200 is an incredibly inaccurate estimate. When having an E-Commerce site developed it is important that the E-Commerce Development Company developing the site has knowledge of the products, and the technical ability to generate a shipping cost algorithm that accurately estimates shipping.